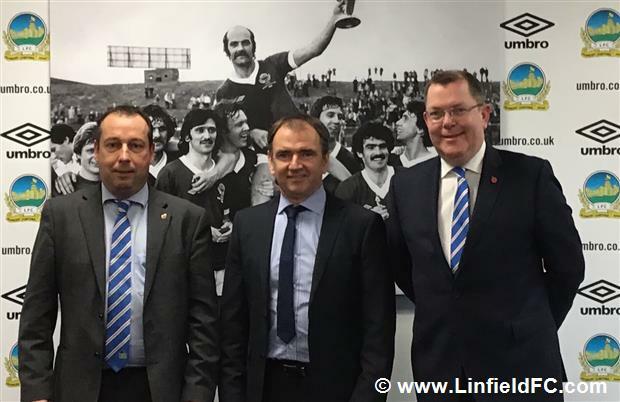 Linfield Football Club today announced the appointment of Mr Pat Fenlon as its first General Manager. The 49 year old Dubliner will take up the position later in November. Fenlon enjoyed a successful spell with Linfield as a player from 1994 to 1996 and has extensive management experience in the League of Ireland and in Scotland. His most recent appointment was as General Manager at Waterford. His new position at Linfield will have lead responsibility for all of the club’s off field activities, both at Windsor Park and at the new Midgley Park. He will also work with the Board of Directors to formulate the strategic direction of the club over the next 5 - 10 years. “This is a very exciting appointment by the club and I am delighted to welcome Pat Fenlon back to Windsor Park. The position of General Manager is a key strategic appointment by the club and Pat’s extensive experience in football will be a great asset to us.